Shalom Hartman Institute of North America is thrilled to announce, in partnership with the Berkeley Institute for Jewish Law and Israel Studies, noted scholar Tomer Persico has been appointed the inaugural Shalom Hartman Scholar in Residence in the Bay Area in conjunction with an academic position as Koret Visiting Assistant Professor of Jewish and Israel Studies at U.C. Berkeley. Tomer’s fields of academic study are contemporary spirituality, Jewish renewal, and trends of secularization and religiosity in Israel. He is an activist for freedom of religion in Israel, writes the most popular blog in Hebrew on religion, as well as an English blog, and has written hundreds of articles on these subjects for the popular media. “I'm very excited about this rare opportunity to learn and teach in this unique community” said Tomer. 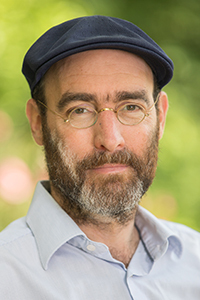 “I'm sure this relationship will be mutual, as I discover new worlds and am stimulated to contribute all I can to the evolving expressions of Jewish life and creation in the San Francisco Bay Area"
Tomer holds an MA in comparative religion from the Hebrew University and a PhD in comparative religion from Tel Aviv University. For the last eight years he has taught in the Department for Comparative Religion in Tel Aviv University. His book, The Jewish Meditative Tradition, was published by Tel Aviv University Press in 2016.